This week, Tesla and SpaceX CEO Elon Musk hit headlines once again, but this time it wasn’t about announcing a new project he is working on. Instead, he gave a speech to the National Governors Association calling for the regulation of Artificial Intelligence. Musk warned each state governor that AI will eventually pose ‘existential risk’ to the future of humanity if they don’t begin to regulate the technologies powering AI. So why is a man like Elon Musk, huge supporter of technology, calling for more regulations against the technology industry? To answer that question, one has to understand that Elon Musk is not at all against the improvements and advances in Artificial Intelligence. What he is against is the lack of regulations of something that could come to rule the world. It hasn’t been the first time Musk has spoke out on Artificial Intelligence. He has before related AI developers as trying to summon demons. He has even been proactive by investing in making AI tech open-source hoping that it will prevent the existential risk that he believes in. With the many recent advances in the field of AI, Elon Musk made his statement because he believes that the time to seek further insight into regulations is now. As soon as Elon made headlines, people came quick to criticize the billionaire entrepreneur. According to NPR, Republican Governor Doug Ducey was surprised to hear such remarks from Musk because he has been so adamant in the past on deregulation for the good of technology. Another critic to Musk’s statements was the head of AI research at Facebook, Yann LeCunn. He argued that Artificial Intelligence will not lead to aggression and destruction of the Human race. Instead, it is a human quality of testosterone that leads to the existential violence Elon Musk speaks of. 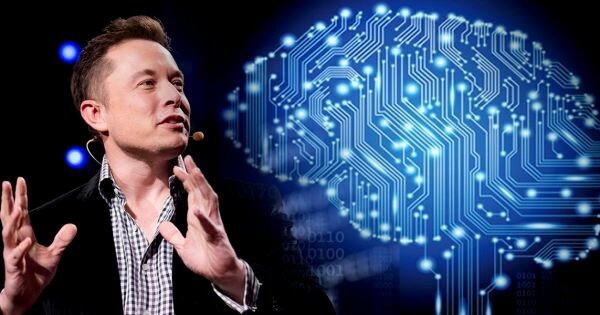 Other critics altogether believe that Elon Musk is only calling for the regulation of artificial intelligence solely to build his brand as a billionaire entrepreneur and use this to increase his sales across his various companies. For whatever the reason may be, Elon Musk has stirred some interesting conversation around the topic of regulating Artificial Intelligence, but we will have to see if the governors will heed his advice and be proactive. Thanks for reading our update on the AI landscape. Want more tech articles and tech trend news? We got you covered. Diving into Deep Learning and Why It’s Important?